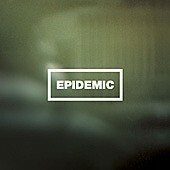 Epidemic, a rock band based in L.A., feature guitars resembling Deftones and vocals similar to Days of the New. There’s not much room for creativity. Their sound is a generic rock beat with a few catchy/screamy choruses; not annoying enough to hate or love. Their songs, which every bandmember has an equal say in, reflects their life experiences and point of view. They also deal with issues of "de-sensitized" pop culture, and making a band work. The members, all being from different places (such as Tennessee, Louisiana, New Orleans and Holland) also have diverse musical influences ranging from bands like U2 and Zeppelin and genres like hip-hop and the raw side of indie rock. Singer/songwriter Boris thinks "the strange combination of backgrounds has added to the band's no-frills appeal." Check the band out at www.epidemicband.com and decide for yourself whether Boris has got it right.